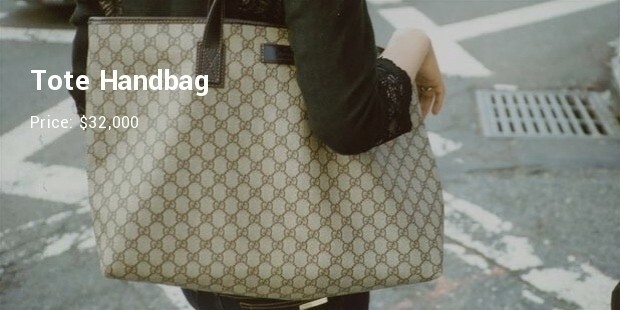 Gucci is considered as one of the most respected and aristocratic brands in the World. Gucci’s wide range of products starting from Sunglasses to Shoes has always allured fashion conscious customers all over the world. This Italian company is renowned for their quality and sense of fashion, so it’s natural that their product range is expensive and highly demanded by popular personalities like movie stars, business tycoons, politicians, sports personalities, and people belong to higher economic strata. 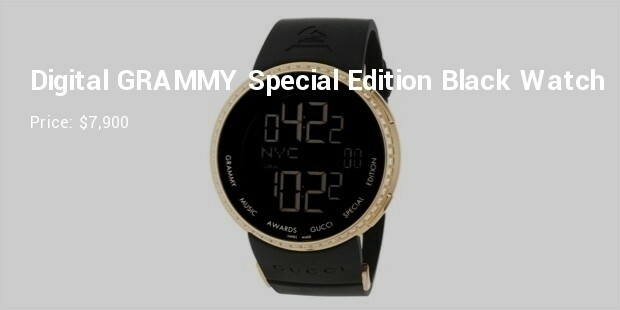 This brand is the most sought after name in all of fashion, so when buyers are looking for complete range of fashion outfits, Gucci’s name always come first. This diamond and platinum studded belt is outstanding from every aspect. 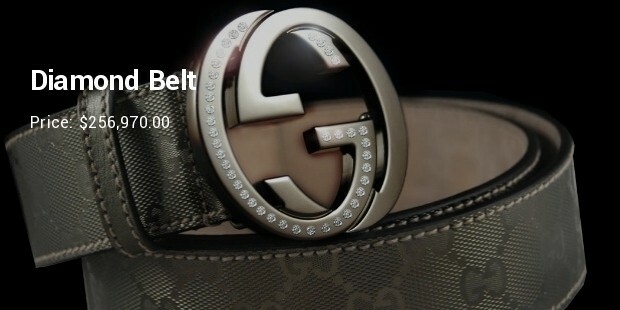 This is one of the most expensive belts available in the world. 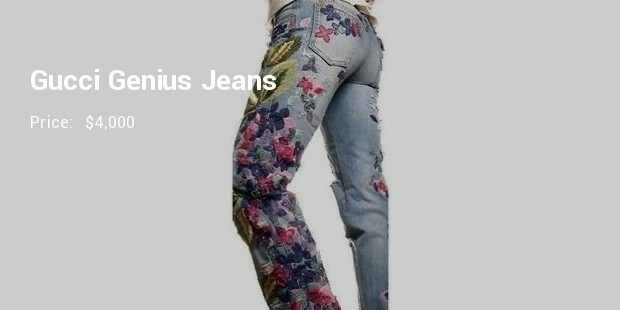 As far as the design, style and aristocracy are considered this collection from Gucci is just unparallel in the market. 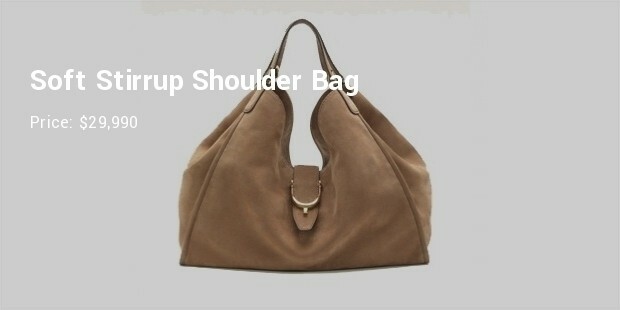 This extraordinary shoulder bag is one of the most expensive fashion collections of Gucci. Designed by the World’s most renowned hand bag designers, this fabulous Gucci collection is manufactured with crocodile leather and gold hardware. 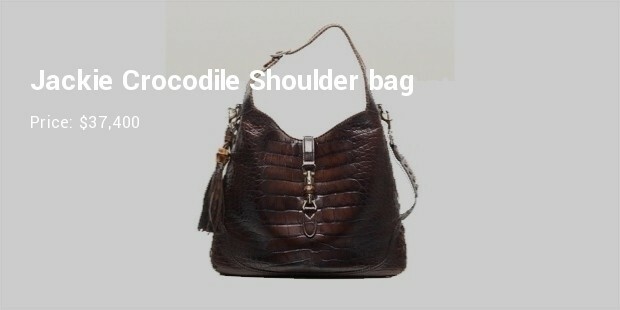 This very expensive and useful brown crocodile leathered hand bag suits with any outfit. The metallic parts are made of nickel. It has three different compartments to place all useful smaller articles during a tour. This expensive, yet simple looking shoulder bag from Gucci is a classy product. 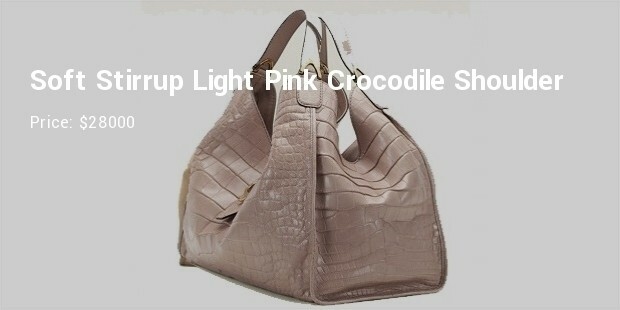 The bag is made of completely non-dyed crocodile skin which looks very natural. This uniquely designed bag is very spacious inside which is just perfect to place multiple of articles. Over the years Gucci has always gone innovative as far as the style and class of a fashion product is concerned. Expensive collections from this popular brand have always been recommended as latest fashion trends by the world’s top personalities.